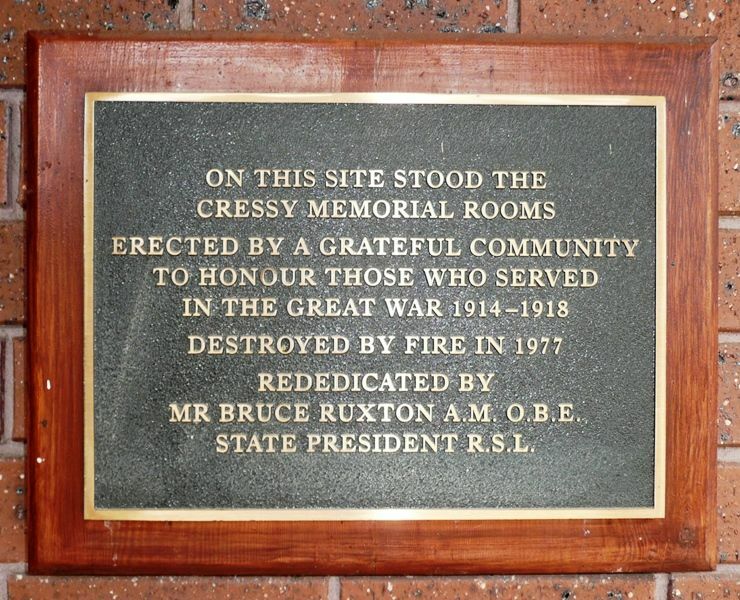 The plaque acknowledges the Cressy Memorial Rooms which were built to commemorate those who served in World War One. The rooms were destroyed by fire in 1977. Rededicated by Mr Bruce Ruxton A.M. O. B. E. State President R.S.L.